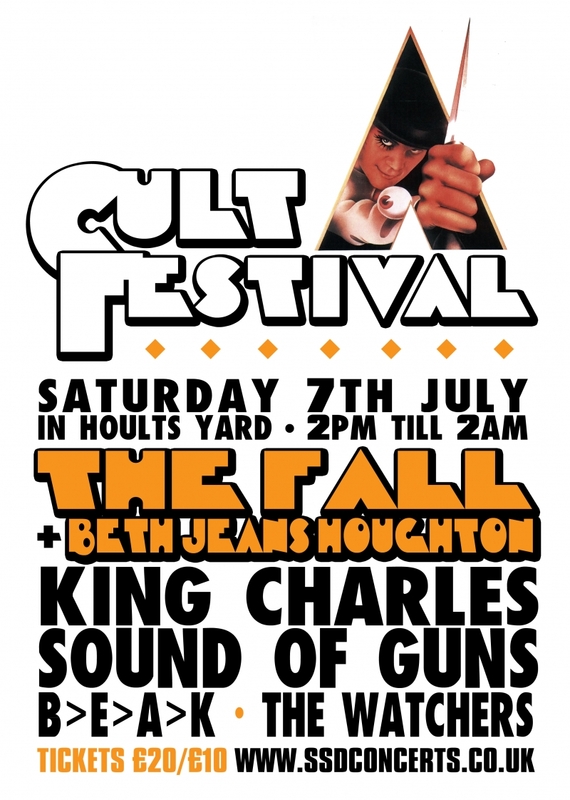 The idea behind Cult Festival was simple; take a selection of North East England's finest up-and-coming bands, and place them on a bill alongside some of the best that the nation's independent scene has to offer. It was a simple, yet genius concept, and one which found a perfect setting in the damp, dingy warehouses of Newcastle's Hoults Yard. By far the strongest supplement of the event, Saturday's main draw was a headline set from Mancunian legends The Fall, but as it happened that was only one of the highlights on a fine exertion for the region's most dedicated music lovers. With two studio albums to their name and a reasonable nationwide following, Liverpool's Sound Of Guns could perhaps consider themselves unlucky not to be higher up the bill than the late afternoon slot they were adjourned with. Luckily, that did nothing to detract from their impact, with a glut of rousing choruses and melodic hooks going down a storm with the main stage crowd. New album Angels and Enemies may have been a slight disappointment following the full-blooded thrills of debut What Came From Fire, but their live shows don't seem to be suffering one bit, with this particular appearance only adding to their reputation. Huge, anthemic rock songs aren't exactly in vogue at the moment, but given the sheer scope of this quintet's music it's surely only a matter of time before they outgrow stages like this. If anything, local boys The Watchers fared even better. Pulling a decent turnout despite being tucked away on the second stage, the quartet did plenty to endear themselves, with their rip-roaring brand of alt rock winning hearts and minds from the off. Bustling with energy and packed with high-octane riffs, their songs also managed to show plenty in the way of variety, coming across not wholly dissimilar from Biffy Clyro in their early days. Worth keeping an eye on, for sure. The Jess Roberts Band, were an altogether more relaxed proposition. Hailing from nearby Sunderland, this collective were a portrait of style, slipping seamlessly through their classic soul and blues numbers like it was the 1960s all over again. They won't be winning any awards for originality, but their set certainly added a feelgood factor to proceedings, warming the audience up nicely before the evening's bigger hitters. Unfortunately critical darling Beth Jeans Houghton couldn't follow suit. The Newcastle-based singer is undoubtedly an impressive figure (as proven on this year's debut LP Yours Truly, Cellophane Nose), but truth be told her performance was a bit of a mess. Backing band The Hooves Of Destiny acquitted themselves reasonably well, but the singer herself often seemed detached from their folky bluster, and did little to seal the void with her warbling operatic vocals. She did have her moments - 'Atlas' in particular was a cut above the rest - but for all the promise there's no question that her live shows could do with a little work. Predictably, The Neat experienced no such issues. The Hull four-piece are quite simply a force of nature whilst on stage, racing effortlessly through their spastic post punk hits with an air of effortless abandon. They were on stage for less than half an hour, but that was more than enough time to leave their mark, with the singles 'In Youth Is Pleasure' and 'New Kids' aired alongside a smattering of newer cuts. It was more than the fanboy in me could take - even if it was merely the latest in a string of masterful showings. In all honesty, I'd have been happy leaving at that point, safe in the knowledge that my favourite band were killing it as hard as ever. That, though, would have been foolish in the extreme given that the band from whom The Neat learned most of their tricks were also on site. 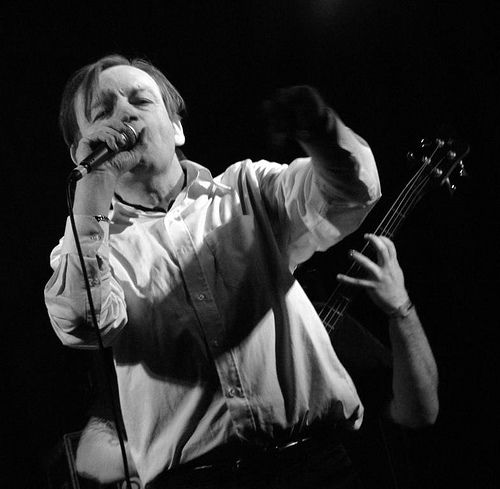 Many punters had bought a ticket purely to see The Fall, and none of them were left disappointed, with Mark E. Smith and co. demonstrating just why they've come to inspire such devotion. Their performance was imperfect in the extreme, but that made for a large part of its appeal, with Smith in particular living up to his shambolic reputation. Bumbling incoherently whilst his band battered listeners into submission, the frontman cast a truly compelling presence - even if he often required a sheet of paper to recall his on lyrics. Intersecting old classics with equally potent recent additions, they provided a utterly brilliant conclusion to what overall was a fantastic day of music. With a host of great bands and a carnival atmosphere, Cult Festival proved an absolute snip at £20, certainly better value than any of its rivals (*nudge* Evolution *nudge*). I'm sure I'm not the only one hoping it'll return for a second year.